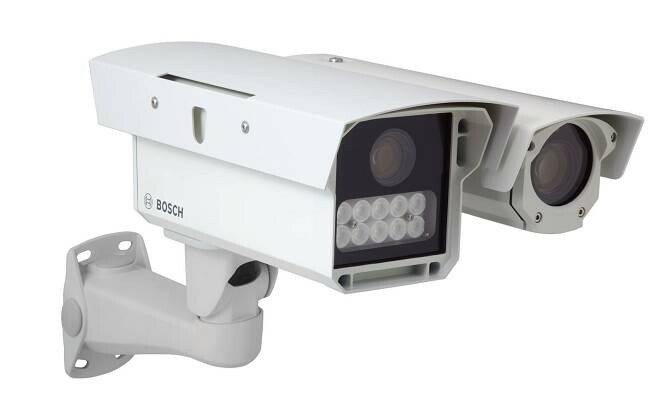 Bosch Security Systems has created a high-performance imager, designed to capture high-quality images of vehicle license plates at speeds of up to 140mph. The Dinion capture uses advanced optics to obtain clear, legible plate images up to nearly 92 feet away, even in low-light situations. This enables accurate vehicle identification and is available on analog versions of IP imagers that feature ONVIF conformance. These new imagers feature the Night Capture Imaging System, which creates a shot of infrared illumination while also filtering out visible light at the same time. This ensures that you get crystal clear images of license plates in complete darkness while also eliminating any and all negative effects that could be caused by things like headlight glare. Advanced Ambient Compensation also combines high-intensity pulsed infrared illumination with an ultra-fast shutter and an automatic mode switching to minimize overexposure from outside sources, like sunlight, headlights and taillights, giving you a more accurate automatic license plate recognition. Six different adjustable modes allow you to optimize your imager for capturing plates specific to local region, something that could be very beneficial to users. This feature allows you to fine-tune for specific license plate recognition algorithms or for configuring automatic mode changes in varying lighting situations. The new imager, along with the attached overview camera (optional), includes Bosch Dinion 20-bit processing for clear images, even in low-light and high-contrast settings. The overview day/night camera captures a wide view image, which aids in vehicle make and model identification and delivers excellent color reproduction during the day and crisp monochrome images during the night. IP cameras easily integrate with Bosch Digital Video Recorders, the Bosch Video Management System and Bosch Video Client. Conformance with the latest ONVIF standard also ensures that the technology is supported by third party video management systems.